We have established a mission, set of objectives and principles for the WW100 programme. 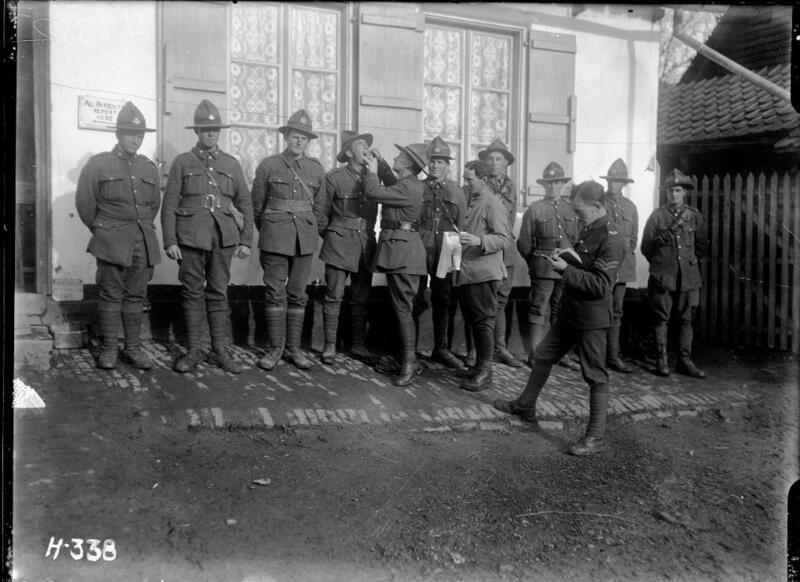 WW100 is a programme established by the New Zealand government to mark the First World War centenary through a range of activities from 2014 to 2019. To foster appreciation and remembrance of how the First World War affected our nation and its place in the world, both at the time and beyond. Activities will reflect New Zealand’s unique culture and identity. There will a balance in tone between remembrance and appreciation, in accord with the nature of particular events. All New Zealanders will be encouraged to participate in activities. Various elements of the programme will be inter-connected to maximise their reach and benefit, and the New Zealand programme will be linked to other countries’ programmes. Wherever possible, activities will support central government, local government and community objectives. Inspecting teeth outside the dental hospital in Nielles, France. Photograph taken November 1917 by Henry Armytage Sanders. Ref: 1/2-013427-G, Alexander Turnbull Library.